Breast cancer is probably the most scaring demon of a woman. The pain, the trauma, the medical interventions including surgery, chemo and radiations are literary hell on Earth. It is obvious then to search for an alternative treatment for breast cancer. A natural treatment, without side-effects and pain. Tualang is an extremely tall tree (Koompassia excelsa) found in Indonesia, Malaysia, the Philippines, and Thailand. These trees are chosen by the bees to shelter their homes, they do not provide food for them. The nectar is harvested from all the flowers bees find in the jungle. It’s a multifloral jungle honey, we can say. 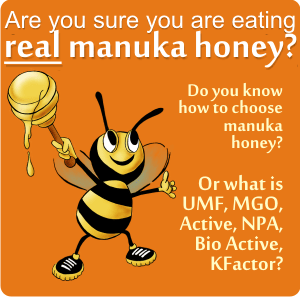 Tualang honey has been compared to manuka honey and found to have similar properties. But while manuka honey source is well known, as being Leptospermum scoparium flowers, tualang honey is sourced in a multitude of flowers, some of them totally unknown to us. These flowers’ yield is weather dependent and so are their spreading. Tualang honey is different from area to area and from year to year. But of course, its main characteristics remain the same. Tualang honey is good in the treatment of breast cancer. • In 2013, a preliminary study made on rats: Inhibitory effects of Tualang Honey on experimental breast cancer in rats: a preliminary study, determined the effect of Malaysian jungle Tualang Honey (TH) on the development of breast cancer induced by the carcinogen 7,12-dimethylbenz(α)anthracene (DMBA) in rats. The study was conducted by Kadir EA from the School of Medical Sciences, Universiti Sains Malaysia and showed that Tualang Honey exerted positive modulation effects on DMBA-induced breast cancers in rats in this preliminary study. • In 2017 Sarfraz Ahmed and Nor Hayati Othman,from the Universiti Sains Malaysia, conducted an experimental animal study The anti-cancer effects of Tualang honey in modulating breast carcinogenesis, investigated the role of Malaysian jungle Tualang honey (TH) in modulating the hematological parameters, estrogen, estrogen receptors (ER1) and pro and anti-apoptotic proteins expression in induced breast cancer in rats. The researchers gave tualang honey to rats from groups 2, 3, 4 for 1 week before all of them suffered tumor induction [by 80 mg/kg of 1-methyl-1-nitrosourea (MNU)] and continued for 6 months. Tualang honey available on Amazon.com, from the tropical rainforest of Taman Negara, the oldest tropical rainforest in the world. 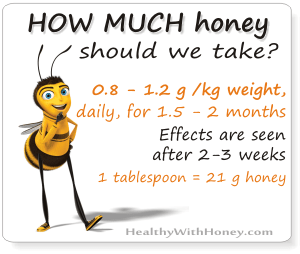 The results showed that tualang honey (given for 1 week before cancer induction) did not prevent the tumor formation. – the rats receiving various dosages of TH displayed a lower tumor multiplicity (p < 0.05), size and weight (p < 0.05) compared with untreated tumor bearing negative control. 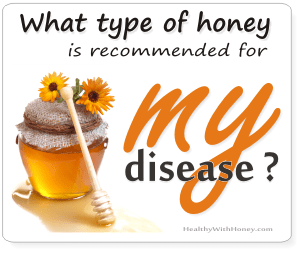 – the cancers treated with Tualang honey were mainly of grades I and II compared with the non-treated control, in which the majority were of grade III (p < 0.05) (as revealed by histological examinations). Tualang honey treatment was found to modulate hematological parameters such as Hb, RBCs, PCV, MCV, RDW, MCHC, polymorphs and lymphocytes values. Groups 2, 3, 4 were found to have a lower anti-apoptotic proteins (E2, ESR1 and Bcl-xL) expression and a higher pro-apoptotic proteins (Apaf-1 and Caspase-9) expression at serum and on cancer tissue level (p < 0.05). The differences among all rats treated with tualang honey were not statistically significant. Alone, tualang honey does not prevent and does not cure cancer. It is a cancer – alleviating product, which can be added to a cancer healing protocol. Remember that tualang honey is a hard to get honey. It is a wild honey made by Apis Dorsata – an Asian honey bee, deep in the jungle and high on tualang trees, stolen by honey hunters in rough conditions. There is not much on the market, that is why it is expensive and lots of what you find is fake. Malaysians eat a lot of honey on a daily basis, they have been taught by their elders about the good benefits of honey and that is why fake honey is a regular thing in that country. Hence the multitude of scammers. 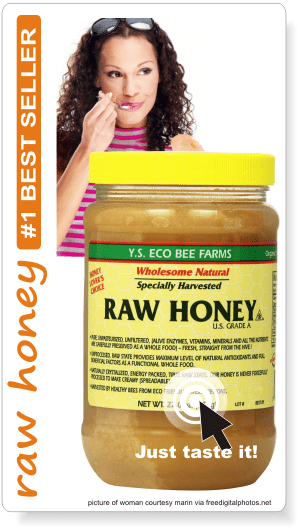 Amazon has recently introduced tualang honey among its products. There are different types of tualang honey (also called rainforest honey). If your intention is to buy the most powerful antioxidant, remember the rule: the darker the more antioxidants! It’s $64 for a 10 oz jar, harvested from the deepest area of Sumatra tropical rainforest. The producer, Health Harvest, is a trustful company from Indonesia. So is Wiidly.com, a company that also sells on Amazon.com. Worth trying! And do let me know if you liked it and felt some changes in your health state. Stop aging now! 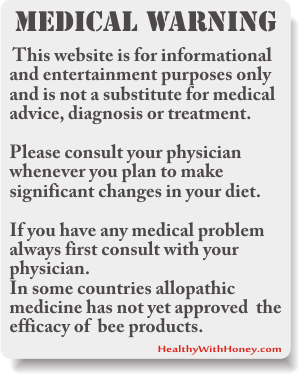 Try lotus bee pollen and be surprised! What is kelulut honey or trigona honey? I am a cancer survivor because of CBD. I had breast cancer (stage 4) and I don’t know how will I be cured but this friend of mine told me to try the CBD, at first I did not believe because my doctor doesn’t allow me to take some cannabis as a medicine and this is a fake medicinal treatment. I tried it but I did not tell my doctor about it. So I take this for 11 months and it really helps me a lot. I know that others won’t believe me but trust me it really does.